If you’re considering buying a home IPL hair removal system then now is a good time to buy as there are some big discounts to be had after summer. Looking online you’ve probably noticed that there are a dizzying number of brands and models out there all making big claims about their hair removal powers. You’ll have also noticed that IPL devices vary greatly in price depending on the model, features and functionality which makes it even harder to know which is the best system for you. But don’t worry, we’re here to help! Below we’ve reviewed the best home IPL hair removal systems out there at the moment and provided the pros and cons of each so you can decide which is right for you and your budget. Your hair colour and skin shade. IPL treatment is not effective for people with red, grey or light blonde hair and should not be used at all if you have medium brown or darker skin as it can actually cause skin damage. Many devices will automatically scan your skin and adjust their light intensity settings to optimise your treatment. What part of your body are you looking to treat? If you’re looking to treat large areas such as the torso or legs then it’s worth looking for an IPL hair removal system with a long lamp life; auto flash functionality and good battery life / mains powered. If you are looking to treat the face, armpits or bikini area then consider an IPL device with additional filter attachments designed to allow for a more targeted flash or the treatment of coarser hair. Your Budget. Depending on the model you choose and the functionality it comes with the prices can vary significantly. Naturally you’ll typically be paying more for the newest IPL hair removal models so it’s worth checking out the older models that will often be cheaper but still perfectly suitable for your needs.You may also be paying more for things such as additional filters and other features so work out if you actually need them. It is also worth checking if there are any promo codes or offers available as we often see them on Boots etc. So, with these considerations in mind, let’s take a look at our list of the best IPL hair removal systems out there. The most common question we get asked is which to choose when it comes to the Tria 4X vs Philips Lumea devices so you’ll be please to see we’ve included these amongst the other market leaders. 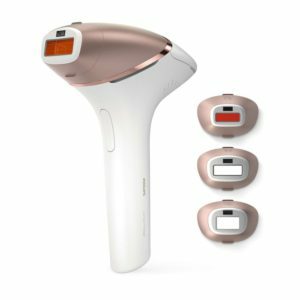 Philips produce the award winning Lumea IPL Hair Removal system and are constantly updating their models with new features. They are an incredibly popular choice when it comes to IPL hair removal devices with well over a million users and, for performance and features, we definitely rate them as one of the best choices for IPL treatment. 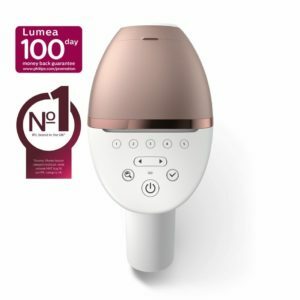 The latest version is the Philips Lumea Prestige BRI956/00 IPL (shown) which comes with an inbuilt skin sensor, 4 curved attachments for various parts of the body and can be used with or without a cord. 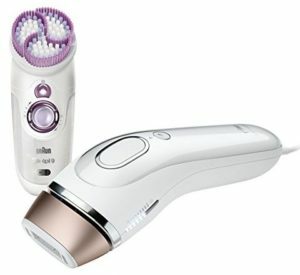 + The Philips Lumea IPL is a multi-award winning and popular brand used by over 1 million people. + Clinical studies have demonstrated a 92% hair reduction within two fortnightly treatments and almost all hair gone after four or five sessions. + Comes with a power cable and built in battery so you can choose to plug the device into the mains or go cordless as you require. Great to have this flexibility when treating larger areas or when a cable might get in the way when treating tricky to reach areas. Recharging only takes 100 minutes. + Great lamp life (over 140,000 flashes) means you’ll not need to replace the device. + In-built “SmartSkin” sensor to help set the correct intensity for optimum results and to prevent skin damage. + 5 intensity settings to cover all applicable skin / hair types and treatment areas plus an in-built UV filter. + Depending on the Lumea model you choose you can get attachments specifically designed for treating certain areas of your body. This latest BRI956 model comes with four attachments for treating your general body, your face, your armpits and bikini area. + Built in safety ring feature prevents accidental flashing. + Features a “Slide and Flash” option that tracks the movement over your skin and automatically flashes the light – making treatment (especially of larger areas) faster and easier. Manual “Step and Flash” mode is available for when you want more control around face / bikini line etc. Our top pick in this category is the Braun Silk-Expert BD5009 which comes with some great built in features, amazing lamp life and has consistently good feedback in terms of results. You also get the added bonus of a sonic body exfoliator that is supposed to gently exfoliate your skin and dislodge those dead and dying hairs for an even more silky-smooth feel. + Made by Braun so a well known name in the electronics and beauty market. + Mains powered so no waiting for batteries to charge. + SensoAdapt Skin sensor instantly adapts light intensity setting as you move it over your skin for optimal performance (it checks 80 times a second). This is the only device that checks during treatments. + A lamp life boasting an impressive 300,000 flashes – double what you get with many other top brands. + Features a glide mode for easily treating larger areas (hold down the button for continuous flashes) and a precision mode (press button once) for when you need greater control around the face etc. + Comes with 3 intensity settings (Normal, Gentle and Extra Gentle) which is less than the 5 you get on some other brands but this is only a minor issue. Remington are one of the leading producers of quality IPL devices and one we’d recommend as a great alternative to the Braun IPL above. As you’ll see in the summary below they come with most of the features found on the other top brands at a competitive price. + Both single-flash and multi-flash options (for targeting specific areas such as face or treating larger areas of your body faster). + Comes with 2 smaller attachments for treating the face or bikini line. + Integrated skin sensor ensures safe light intensity is used. You start by placing the skin sensor on the base pad to identify if the device is safe to use on your skin which is fine but not as sophisticated as the Braun model above. + LED display lets you easily check light intensity, skin-sensor activity and bulb life. + Uses an infinity bulb that “will never need replacing”. The earlier 4000, 5000 and some 6000 models had very poor lamp life. The 6000 model came with 3 bulbs to try and alleviate this issue (and iLight replacement bulbs are also available for around £20 if necessary) but we personally would not go with these. 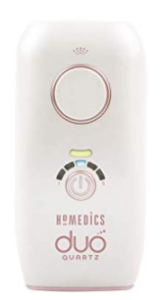 If you are looking for a great IPL hair removal device with a very competitive price tag then you can’t go far wrong with the Homedics Duo Quartz. It’s well designed, compact and comes with a lot of the features found on some more expensive models…maybe more! Fluorescence Technology (AFT) on the first 3 intensity settings and IPL technology on the highest 2 settings. As well as hair removal, AFT is typically mentioned in the treatment of spider veins, freckles, rosacea and other skin blemishes so that’s a possible additional benefit of using this device. + It’s priced very competitively considering the range of features you get with it. + The Duo is very compact so it is easy to hold and convenient to store / carry discretely in your bag. + Despite its compact size the treatment head is the same (3cm) as the larger models. + 5 intensity settings for all skin and hair types (1 – 3 use Freeglide which automatically pulses every second – ideal for treating larger areas). + Mains powered means no recharging is needed. + Skin sensor allows for safe and optimised use every time. + Treatment lamp lasts for 50,000 flashes which is probably ample but much less then the Lumia or Remington devices. Replacement cartridges are available for £40 if necessary. You may have heard about Laser Hair Removal treatment. There is only one supplier on the market that is typically recommended and this is the award winning Tria 4X Hair Removal Laser. They use the same lasers you find in salons but at a reduced intensity and are so confident you’ll be satisfied with the results they give a 90 day money back guarantee. You use it in exactly the same way as an IPL device (though the laser head is much smaller) and, importantly for you, it has been clinically proven to provide more permanent hair removal results. The reviews are predominantly great and it won the InStyle Best Beauty Buys award 3 years running…oh, and it also comes in different colours which we rather like! + Market leading and award winning device with proven track record for excellent results – backed up with a 90 day money-back guarantee. + This uses a laser as opposed to a typical IPL light, giving off 3 times the hair removing energy of any other home IPL system, so hair removal results will typically be faster and more permanent. + Built in skin sensor ensures you’re using the optimal light-intensity-setting / preventing skin damage at all times. + Digital LED display on device provides clear information during treatment on things such as the intensity setting, battery level, skin sensor indicator and the lock status of your device. It also includes a pulse counter on the display to ensure you treat the target area with the optimum number of flashes. + Cordless – so can use anywhere and it only takes 2 hours to charge fully. + Available in different colours so you can get one to match your style. + Battery charge lasts 30 minutes (this should be ample but it might need a quick recharge if doing a larger area). 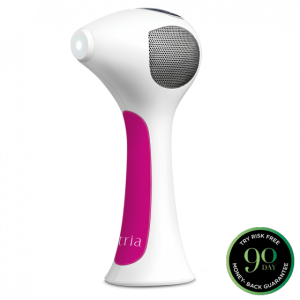 The Tria Hair Removal Laser Precision is the little sister of the Tria 4X and, as the name suggests, is designed for quickly treating smaller areas such as the face, armpits and bikini area. + Probably the perfect option for treating small areas of your body – you get the permanent results of the Tria 4x laser for a pretty competitive price. + Tria claim you’ll see a 70% reduction in hair growth in only 2 treatments. Note: We also get a fair number of people asking about the LumaRx IPL. This is device is only available to purchase within the US so is not listed above.